FORTAS is very proud to announce the signing of a Memorandum Of Understanding (M.O.U.) with ALTRAN Industries of France. This M.O.U. is the first step toward the building of a much larger integration of both companies expertise into one common support platform. ALTRAN is a Paris based company which employs 23 000 employees. 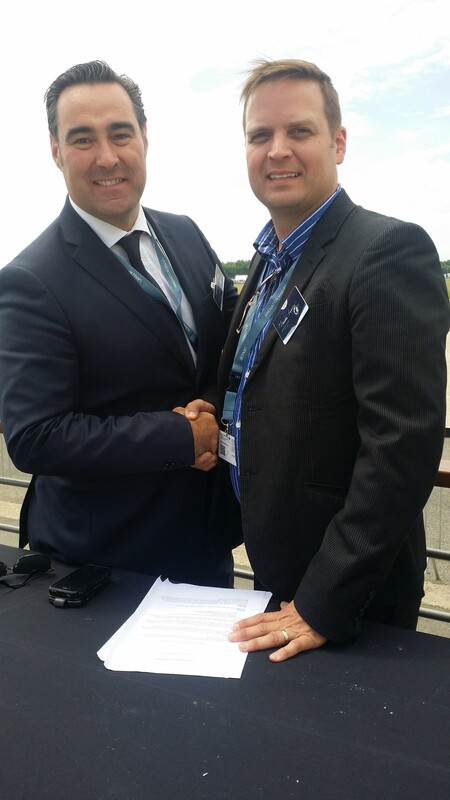 M. Claude Fortin (right) is pictured here with M. Sebastien Renouard, ALTRAN VP Engineering and Aerospace (left) at the ALTRAN Chalet on the runway of the Bourget Airport.